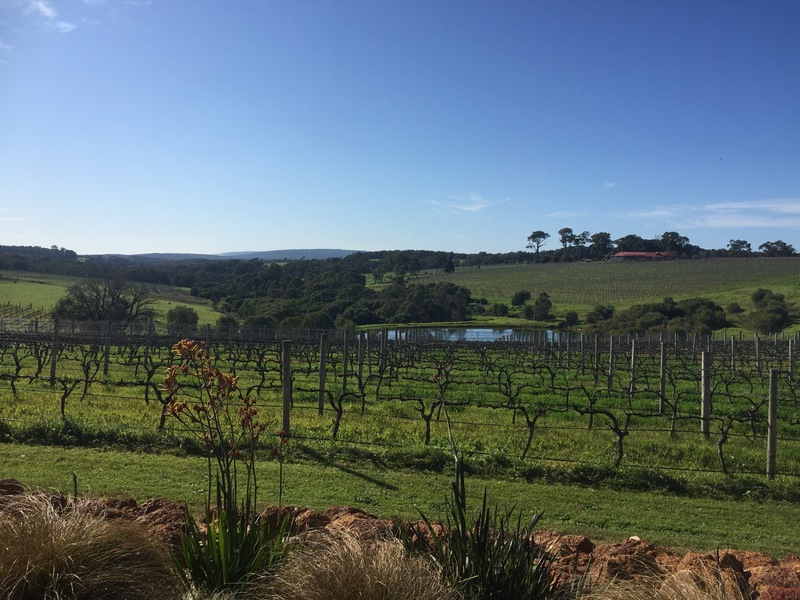 You’ll find Will’s Domain in an absolutely stunning locale in Margaret River. From the moment you drive up you’ll know that you’ve stumbled upon something really special! The view is enough to stop you in your tracks. The building is exquisitely shaped to pool the light through, to let you take in the view from every angle. 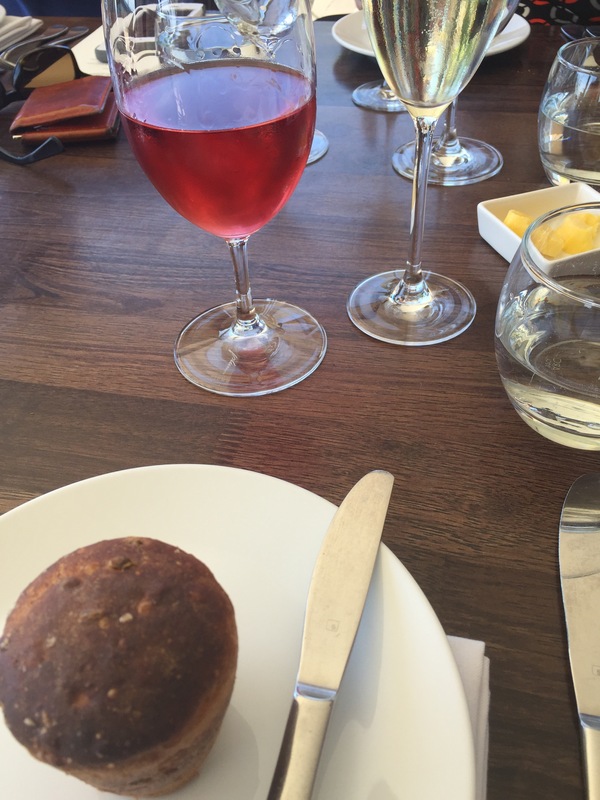 It’s a truly breathtaking experience to share a meal out in the sunshine on a day like we were blessed with. We opted for the 7 courses with some on the table choosing the matched wines. We decided to pass on the additional courses that could be added. There was a wedding on and we had to leave by a set time, something we weren’t made aware of in our original booking. The meal started with snacks. First was a still warm bread roll. It was fresh, warm and delicious and we were just starting to wonder what the next course would be when more snacks arrived at the table! We were treated to house made crisps – a league above anything you could find in the supermarket! 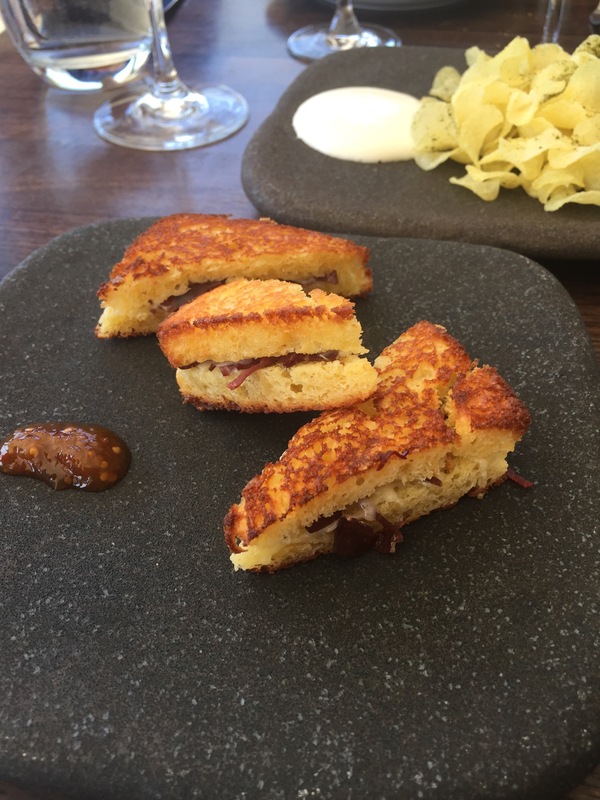 As well as crispy fried prawn eaten whole and rich brioche croquettes. 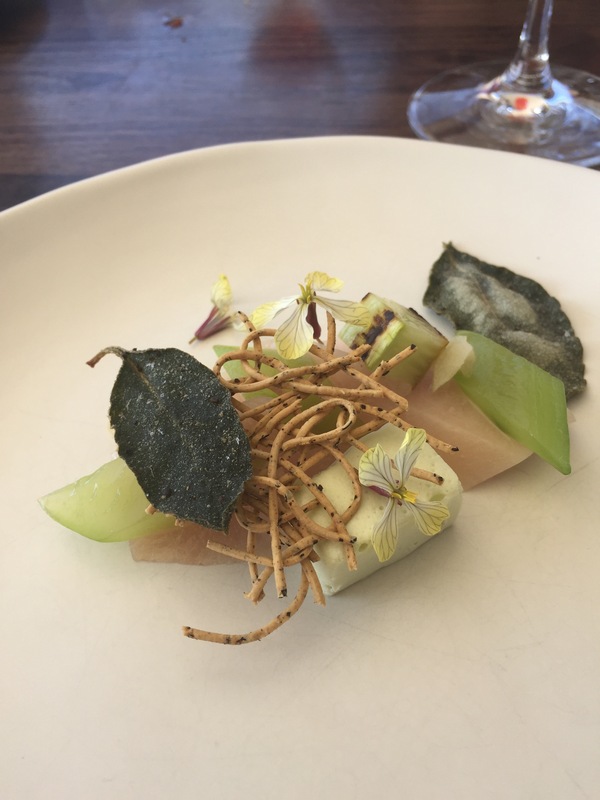 Next was the raw course, a cured swordfish with cucumber, wattle and lemon aspen. We loved the light and fresh hint of cucumber, the sharp salt bush and the subtlety of the fish. All together it was a wonderful bite, a gentle but enchanting course to ease us into our meal. I’ve grown up with a family member who was a vegetarian but will freely admit that I have never found vegetable courses as exciting as those with meat. Wills Domain garden dish gave me cause to reconsider. 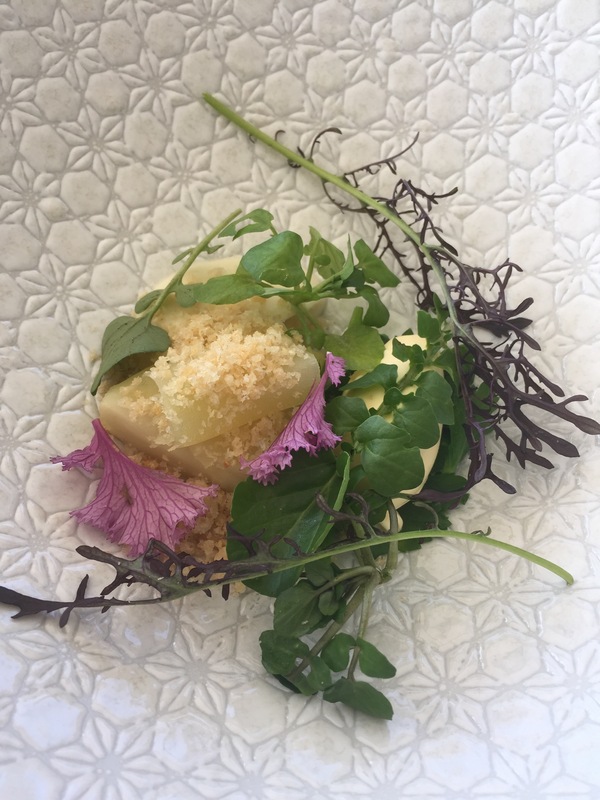 This was a simply stunning vegetarian dish, a salt baked celeriac with a cultured cream, apple and watercress. 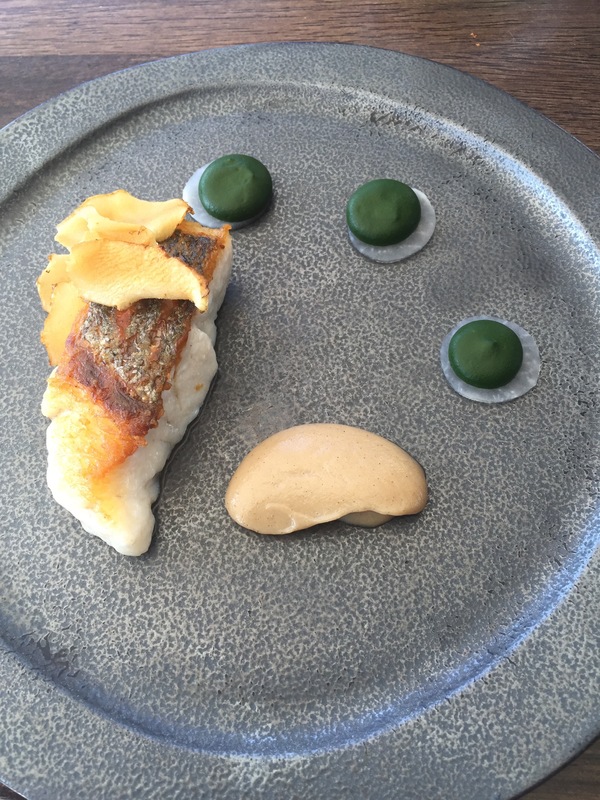 All together it was an artful balance of flavours – salty, creamy, tart, fresh. The sweetness of the apple and the cultured cream were definite highlights. 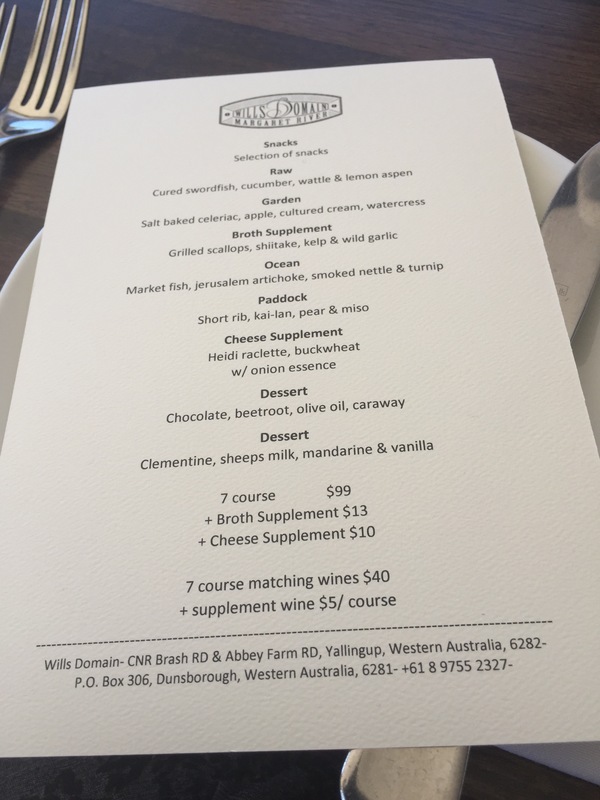 The market fish when we dined was the mulloway, served with artichoke, smoked nettle and turnip. The fish was delicate, cooked perfectly with a crispy skin and flaky inside. 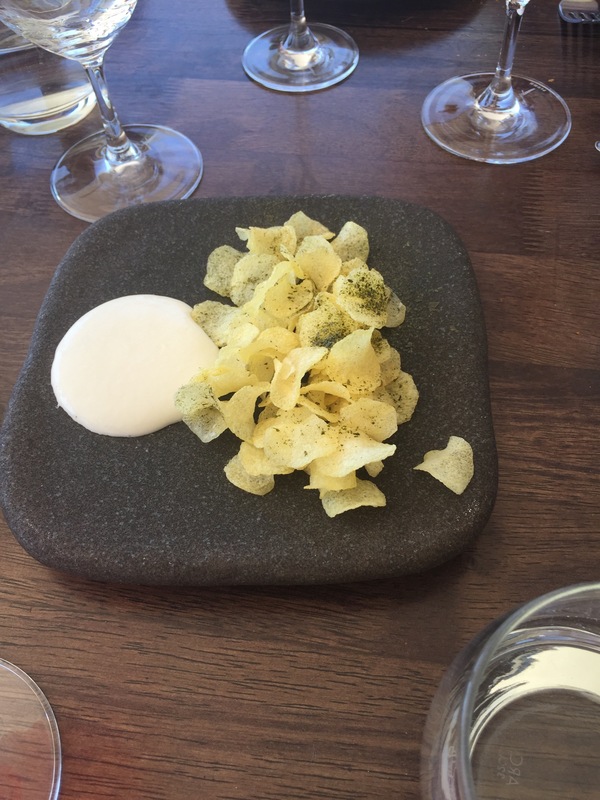 We loved the crunch of the crisps and the creamy aioli. The smoked nettle was very strong and had to be eaten in moderation with everything else on the plate. It was probably just a bit too overwhelming a flavour and there was too much on the plate to keep it balanced. Luckily there was a quick palette cleanser between courses. A sour and sweet green apple to lift that heavy smokiness of the fish course. 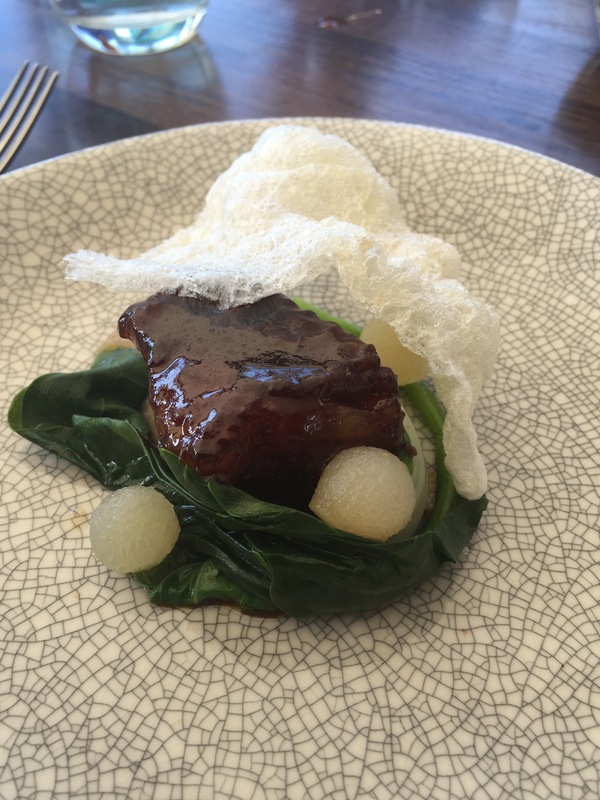 The last of the savoury dishes was a short rib with Kai-lan, pear and miso. The rib was sticky and tender, beautifully cooked. The pear added a sweetness to complement the sauce and the overall flavour profile was decidedly Asian. 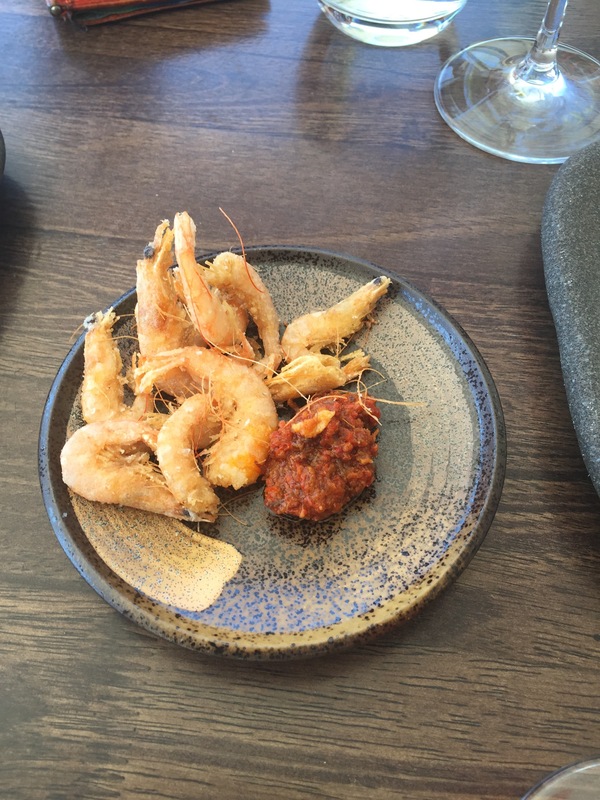 It was a delicious standalone dish but we’re not sure it really fit the cohesiveness of the meal as a whole. The first of the desserts was a combination of beetroot and chocolate. It’s a nice flavour combination that’s been tried and tested but the earthy texture of the beetroot is quite off putting as a dessert. 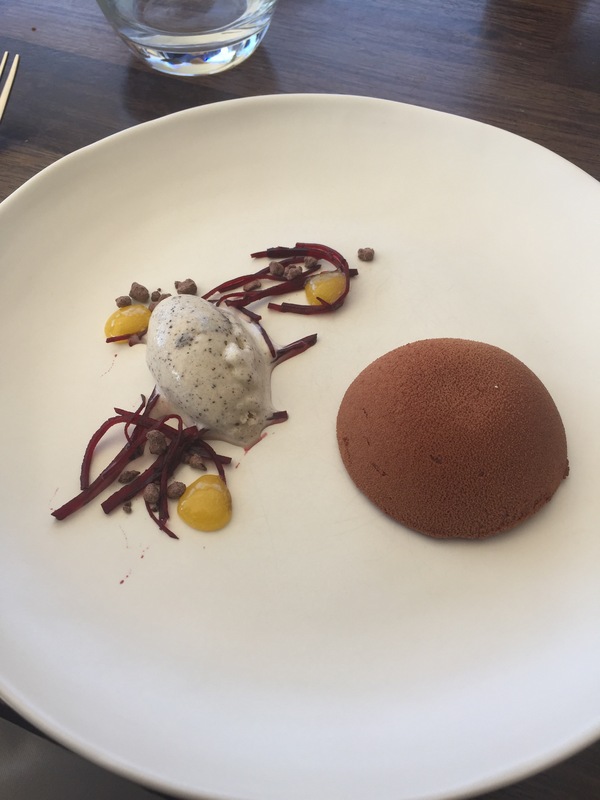 It was a rich flavour and there wasn’t enough of anything to lighten the heaviness of both the chocolate and beetroot. This was a decent dish but just didn’t have the knockout flavour we were hoping for. 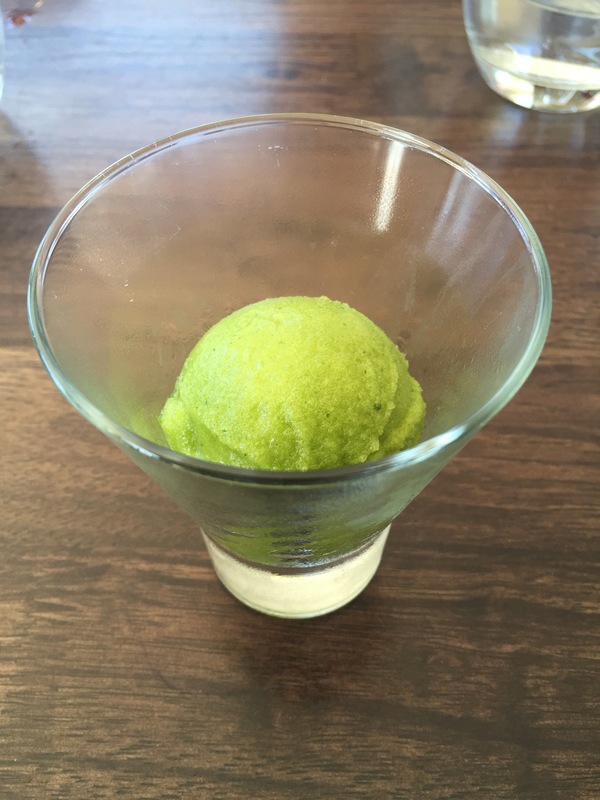 It was time for another palette cleanser, this time a wonderfully light mint and parsley sorbet. 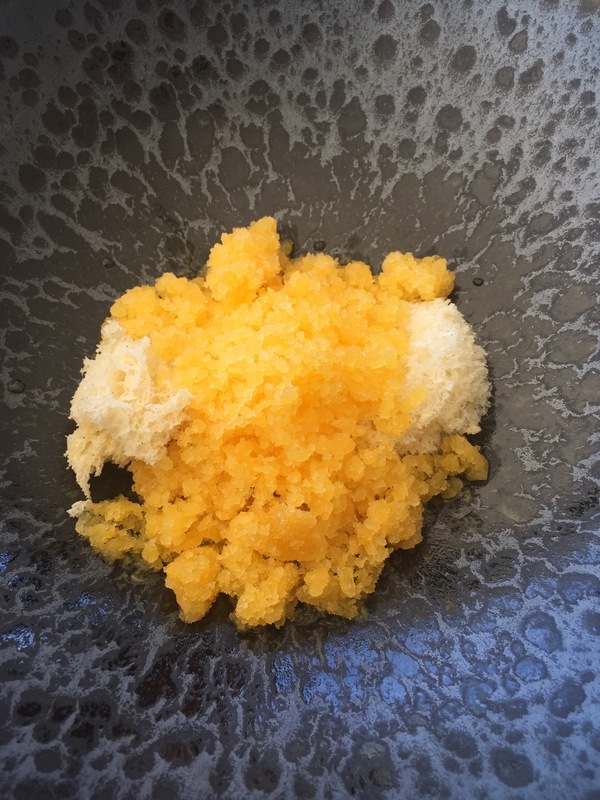 Finally we came to the final course, clementine with sheeps milk, mandarine and vanilla. This was the stellar dessert we’d been hoping for. 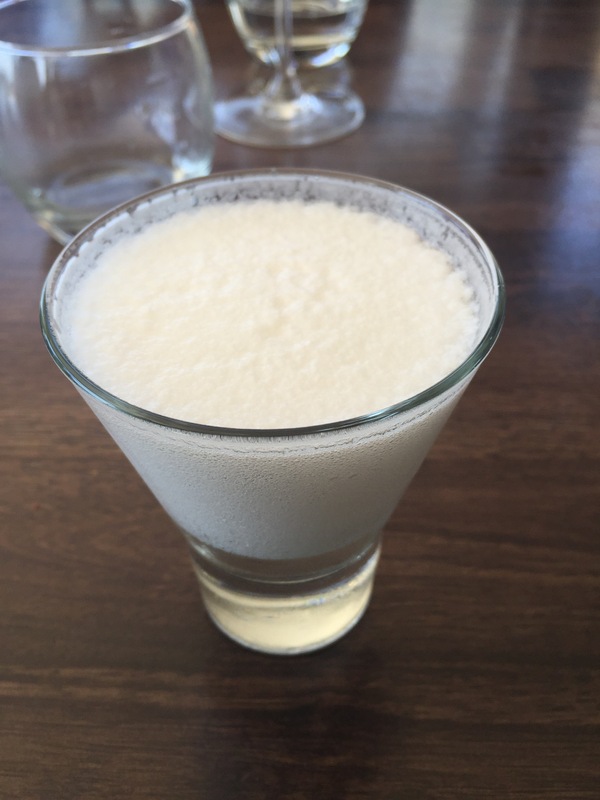 The sorbet was so tart, it was a shock to the system but when combined with the creamy sheeps milk underneath it became heavenly. It was the juxtaposition of that tart and sharp, with the creamy and rich dairy that made this dessert so great. It takes you to the edge and pulls you right back in. There was nothing better to finish a wonderful meal with. 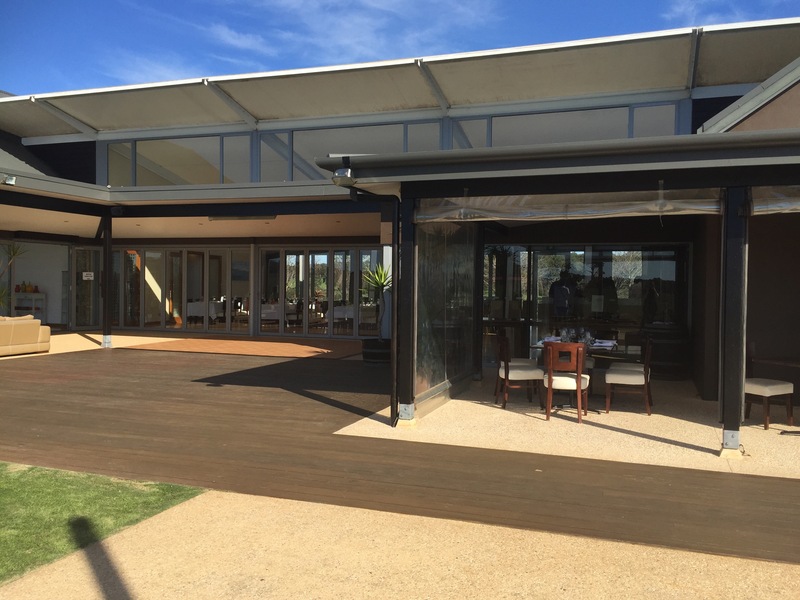 Wills Domain offer a dining experience that is truly unique. The meals are only enhanced by the beautiful location and it’s worth visiting just for that view. 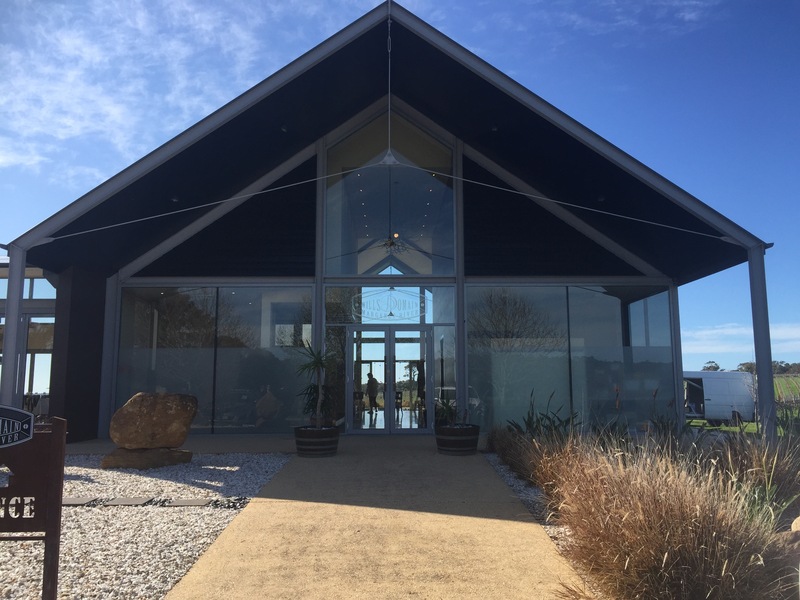 The staff are aloof but experienced, we found them relatively attentive despite setting up for a wedding after our visit.